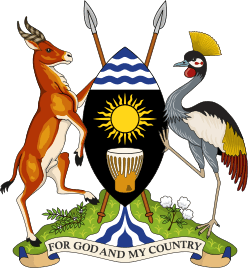 The Forum for Democratic Change (FDC), founded on 16 December 2004, is the main opposition party in Uganda. The FDC was founded as an umbrella body called Reform Agenda, mostly for disenchanted former members and followers of President Yoweri Museveni's National Resistance Movement (NRM). Party president Kizza Besigye, formerly a close ally of Museveni, was a presidential candidate in the 2001, 2006, and 2011 presidential elections. In November 2012, Mugisha Muntu was elected as President of the FDC. His five-year term of office runs until after the presidential and general elections slated for early 2016. FDC was the greatest challenge to the NRM in the 2006 presidential and parliamentary elections. Besigye was the party's presidential candidate, taking 37 percent of the vote against Museveni's 59 percent. Besigye alleged fraud and rejected the result. In the general election of 23 February 2006, the party won 37 out of 289 elected seats. In the presidential election on the same date, Besigye won 37.4 percent of the vote. In the 2011 election, the party performed worse with Besigye getting 26.01 percent of the vote and the party winning 34 seats. The origins of the FDC are intertwined with the history of the ruling NRM led by President Museveni. The NRM through its military wing the National Resistance Army (NRA) fought a successful guerrilla war against the governments of Milton Obote and Tito Okello and came to power in Uganda in 1986. During the guerrilla war, Museveni successfully moulded various interest groups into an effective military machine, and on achieving power, he began to build the NRM into a cohesive political organisation. The transition process and the NRM's desire to broaden its political base revealed other interests within the party and a feeling amongst some senior members of being sidelined. Museveni had relied heavily on the support of the Tutsi refugees and their descendants who had been forced out of Rwanda by the Hutu majority in the 1960s. During the guerrilla war, the NRA had moved from the central district of Luwero to the west of the country where most of the Tutsis had been recruited. On achieving power, Tutsis like Paul Kagame and Fred Gisa Rwigyema were rewarded with powerful positions within the army and government. The NRA advance on Kampala was very rapid, and during this process hundreds of new recruits were incorporated into the NRA. Many of these came from Museveni's own tribe, the Banyankole, and other western tribes like the Batoro. When the NRA advanced back into Buganda through the town of Masaka, their ranks were expanded by Baganda, many who travelled from different parts of Buganda to join the guerrillas. For many of these, the common goal was simply to oust the northern dominated government. There were also those who saw the opportunity to use the NRA to achieve Buganda's ambitions of autonomy. "He was also clever that he recruited very young and inexperienced people; the kind that would obey him. Many of them were either coming from university or those who had not even been to school". "Many people have intimidated us, calling us (young people) creepers and sycophants of Museveni". The young cadres and the Tutsi refugees formed the new power base of the NRM, and the party increasingly appeared tribal. 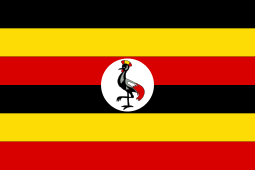 Ugandan politics has been plagued by tribalism, and the young cadres with their new influence often encouraged the appointment of their relatives into key government positions. Most of these cadres were from the south-west of Uganda like Museveni. This power base was suddenly weakened when the Tutsi refugees led by Fred Rwigema decided to return to Rwanda to fight the government (Habyarimana). The loss of so many key military and political advisers particularly in the intelligence services left Museveni vulnerable. The NRM realised it had to broaden its appeal, first by appeasing the Baganda (Uganda's largest ethnic group) by restoring their king the Kabaka, and recruiting more people from other tribes into the armed forces. The NRM also emphasised its role in restoring law and order to the country and continuously evoked the fear amongst the southern tribes that the brutal northern armies of Obote and Idi Amin could return if the NRM failed. This fear was facilitated by the war in the north waged by the Lords Resistance Army. The NRM also presided over rapid economic growth in the south of Uganda. With this new confidence, Museveni began to act against those challenging his authority in the NRM. Many of these were the original members of the NRM/NRA, including the army commander Major General Mugisha Muntu and other once powerful NRM leaders. Many of these leaders opted for quiet retirement in their home districts, but others, like Mugisha Muntu and the former NRM spokesperson Winnie Byanyima, began openly criticising Museveni. There appeared, however, to have been little enthusiasm to completely break with the NRM, rather to encourage change from within. This changed in the elections in 2001 when retired NRA officer Besigye challenged Museveni for the presidency. Besigye was relatively unknown outside the NRM/NRA establishment, but his courage in standing for election attracted support. The FDC was formally established in 2004. Besigye had gone into exile in the United States and then South Africa. The genesis of the party, however, was in Uganda where many disgruntled NRM members were actively promoting the establishment of a political organisation to challenge Museveni. This desire was further cemented when Museveni amended the constitution to allow him to stand for a third presidential term. This had angered many NRM veterans who had remained in the NRM waiting to take over when Museveni stood down. The amendment was criticised by some of Museveni's closest allies, like Eriya Kategaya who at the time was seen by many as the number two in the NRM/NRA political hierarchy. This opposition, howeverm did not bother Museveni who had by now firmly established himself in the NRM. The FDC benefited from this disquiet, and when Besigye returned to Uganda, he found the FDC had considerable support even within the ranks of the NRM. This factor prompted Museveni to arrest Besigye. Although it was doubtful that Besigye could win an election against Museveni, the fact that he was attracting support from the NRA (now renamed the Uganda People's Defence Force) members brought the spectre of a split in the army. The FDC had many ex-NRA commanders in its ranks, including the former army commander Mugisha Muntu. Another factor was that many of these politicians were from the same region of Uganda as Museveni and, therefore, they could attract support from the president's own backyard. Besigye's arrest was a political blunder that served to increase the popularity of the FDC. But the party now began to suffer from its success. Many of the prominent ex-NRM members were reluctant to publicly criticise Museveni. Politicians like Erya Kategaya, who was now in the FDC leadership, were tentative in their approach. A further hindrance was that the government placed enormous restrictions on Besigye's ability to mount a national campaign. The FDC was extremely popular in urban areas like the capital city, Kampala, but with limited campaign time, he could not effectively campaign in rural areas where 70 percent of the population live. The NRM, on the other hand, spent enormous energy campaigning in rural areas and small towns. The FDC and Besigye were also popular in the north where the population has suffered almost two decades of war between the government and the Lord's Resistance Army. This was despite the fact that the FDC hardly campaigned in this area. This is a reflection of the grievances felt by northern Ugandans who often felt abandoned by the government in Kampala. Despite these obstacles the FDC won over 30 percent of the vote, a major achievement for a party that was hardly a year old. The party eclipsed the traditional opposition parties like the Uganda People's Congress and the Democratic Party. In 2011, the FDC once again led the opposition to Museveni and the NRM in the presidential and parliamentary elections. The party once again failed to overturn Museveni's popularity. The FDC did worse than in 2006. Since the 2011 election, the party has been central in organising street demonstrations - some which have resulted in violent confrontations with the police. ^ Comments by former NRA Major RUBARAMIRA RURANGA, The Weekly Observer August 2005(). ^ FRANK TUMWEBAZE, Former Head of the Political Research Directorate in the Office of the President, The Weekly Observer December 2005 (). ^ Bidandi Ssali, The East African March 1999 ().